I also have a folktale theme running on my own blog this year, and I wanted to note how fascinating it is to receive comments on posts about folklore and mythology. I am used to mostly discussing tales with professional storytellers and folklorists, people who are steeped in this kind of stuff. It is interesting to see how non-folklore people, especially fiction writers, react to the same stories. Listening to folktales is an acquired skill; people who don’t regularly interact with them have vastly different reactions than those who do. Folktales make sense in a different way than fiction does. That’s the fun part: You can pick them apart and say “but none of that makes any sense!” or “there is no character development!”, but in the end, they still carry deep truths, and they are still entertaining. On the other hand, getting opinions on the tales from many people of different backgrounds often makes me re-think the stories in a whole different light. I love that experience. I recommend adding folktales to everyone’s regular literary diet! Netiquette is one of my favorite words. It is a combination of “net” and “etiquette”, and it sounds rather dainty; it refers to the rules and guidelines of acceptable online behavior. Sometimes it is nebulous, and sometimes it feels like such a thing does not exist at all. Blame that last one on trolls. 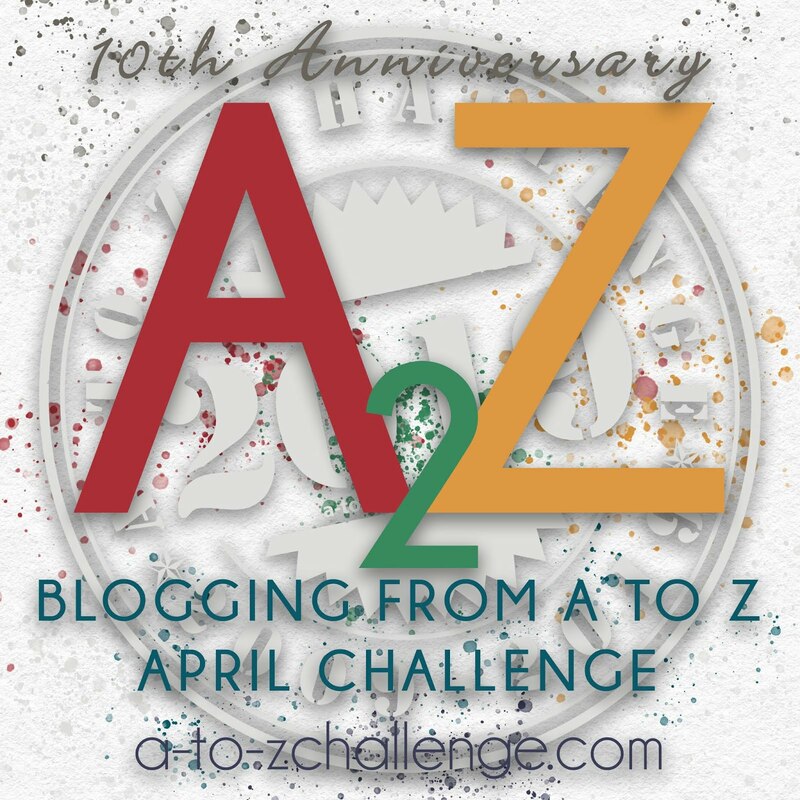 In the spirit of generally being courteous to each other in online spaces, and especially while visiting each other during A to Z, here are some nice things you can do for your fellow challenge participants! 1. Write comments with substance. I know we talk about this a lot, but it bears repeating. Instead of saying “nice post!” and running away, pick something in their post that you particularly liked, and highlight it. It shows that you actually read the post, and the compliment is a great ego booster! 2. Follow your favorites. Visits during April are all nice and great, but it shows even more support if you sign up to follow the blogs you really like. Click follow, sign up for updates or newsletters, or pick any other option the blog offers. This way, you can keep up with them after A to Z! 5. Leave a link! Please leave a link. I know this is also something we keep repeating, but I’m saying it again, because it breaks my heart every time when someone comments on my blog, and I can’t find where they came from to visit them back. Please leave a link! Here is how you do it nicely.